These are a few of our favorite things — a look back at our first decade (or so) of illustrated holiday covers. Winter 1956, by Eugene Shepherd; Winter 1955, by William Shevis. Today, the old covers exude a kind of merry retro cool we can’t get enough of. 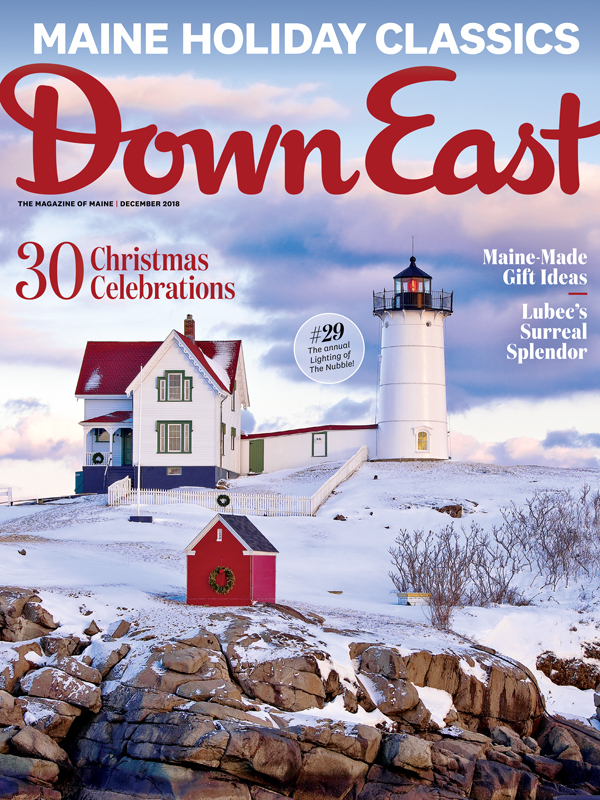 This time of year, you can really feel Jack Frost nipping at your nose as you explore the Down East archives. No, seriously — our archives are in an unheated annex attached by gangway to our 115-year-old headquarters. It is wicked cold out there, bub. 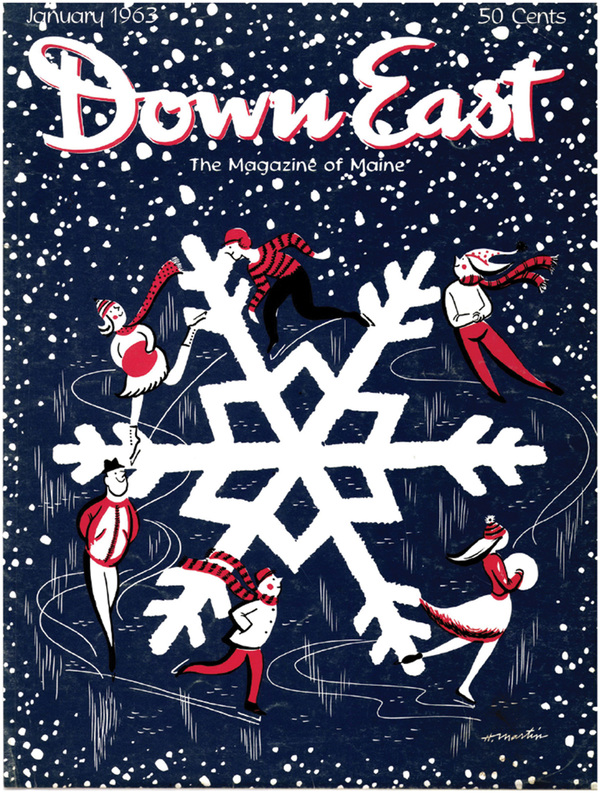 But that doesn’t stop us from sending the intern out to fetch some of our favorite issues from the magazine’s early years, so we can all stand around with a cup of cheer, enjoying a little midcentury nostalgia. 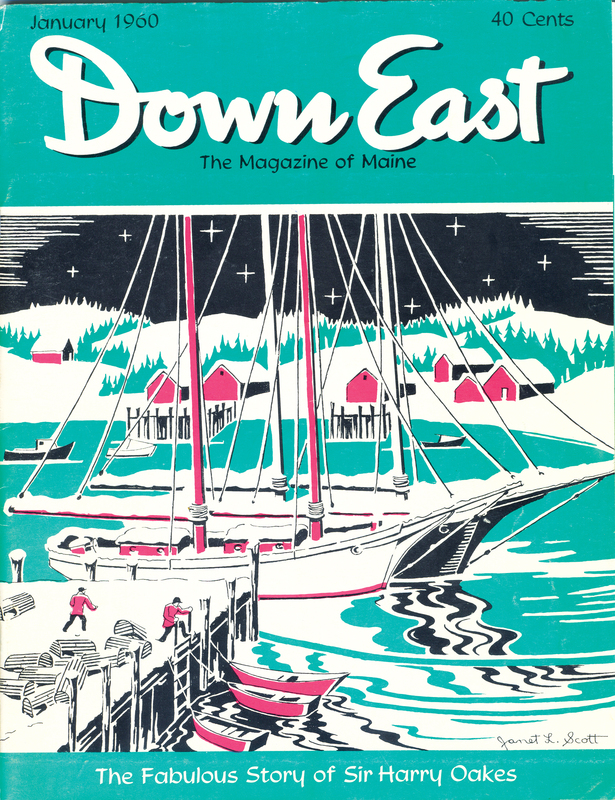 And nothing gets us humming Dean Martin Christmas carols like a spin through our early wintertime covers. 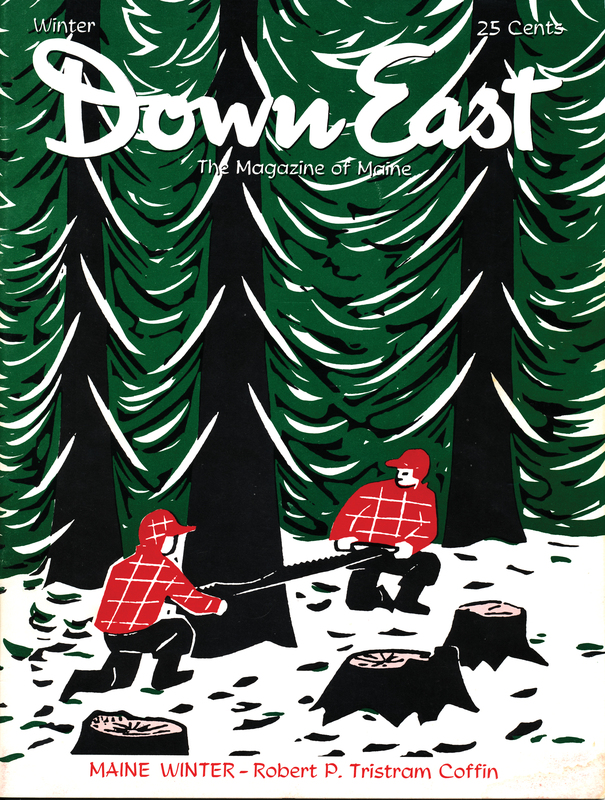 Down East is, to a large degree, a product of the Mad Men era, a golden age of commercial and editorial illustration, and for the mag’s first decade-plus, from 1954 to around 1967, our covers were given over to the kind of bold, geometric, and often playful drawings and prints that defined the era’s aesthetic — images that, today, exude a kind of merry retro cool we can’t get enough of. January 1961, by Henry Martin; January 1962, by Ed Higgins. January 1959, by Stell Shevis. 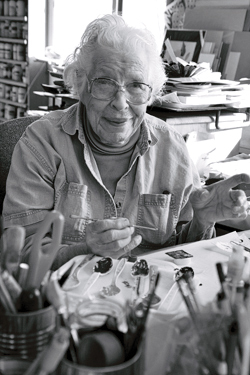 Stell Shevis often made art with her husband, William, whom she called by his (and her) surname. 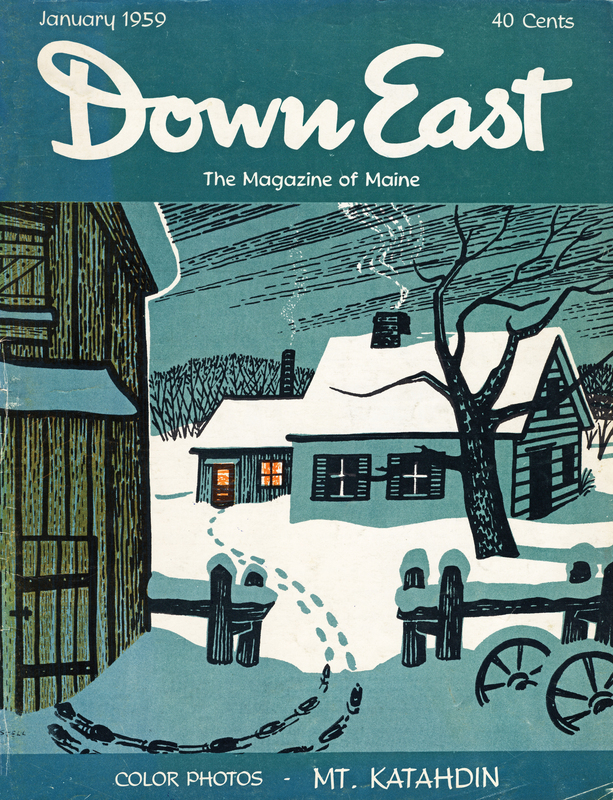 “Stell and Shevis” were behind dozens of Down East covers over the years. William died in 2010, at 96, and Stell in 2016, at 101. 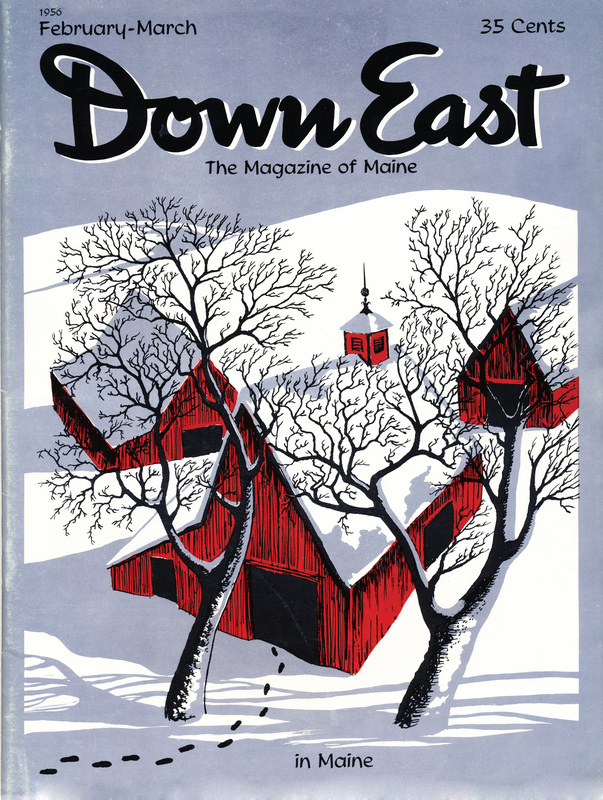 Ironically, for all of Maine’s cachet as a summering ground, it’s arguably the young magazine’s winter covers that best manifest that idealism: you can see it in Ed Higgins’s glowing storefronts and exuberant tobogganers, in Francis Hamabe’s cheery little skiers and Henry Martin’s cartoonishly satisfied ice-skaters, in William and Stell Shevis’s industrious loggers and mailmen, and in Carroll Thayer Berry’s serene woodcut harborscapes. January 1960, by Janet Laura Scott. January 1958, by Henry Martin. Poster available in our shop. 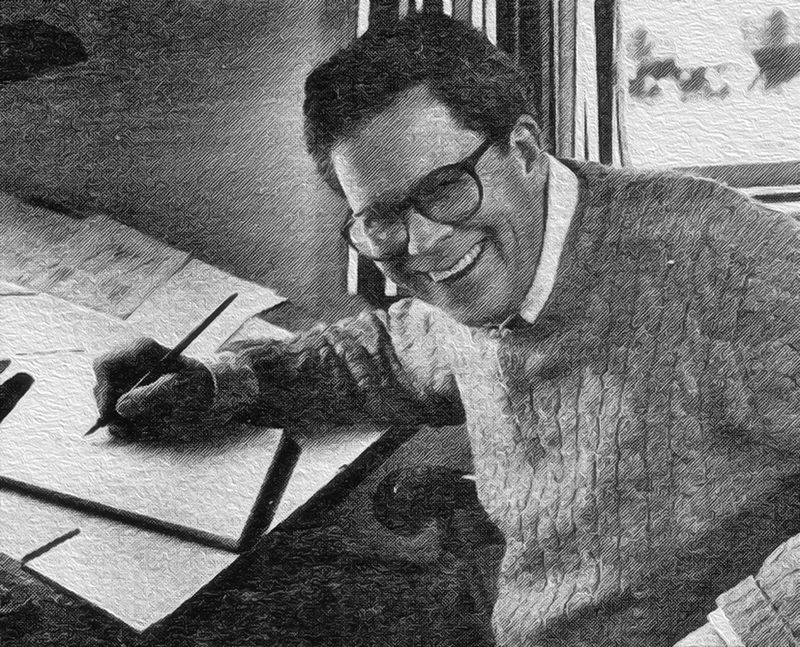 Henry Martin illustrated humor books during the same period he drew for Down East. His cartoons and illustrations would eventually run in The New Yorker, the Saturday Evening Post, Ladies Home Journal, and elsewhere. The nascent Down East was blessed with a stable of gifted artists. 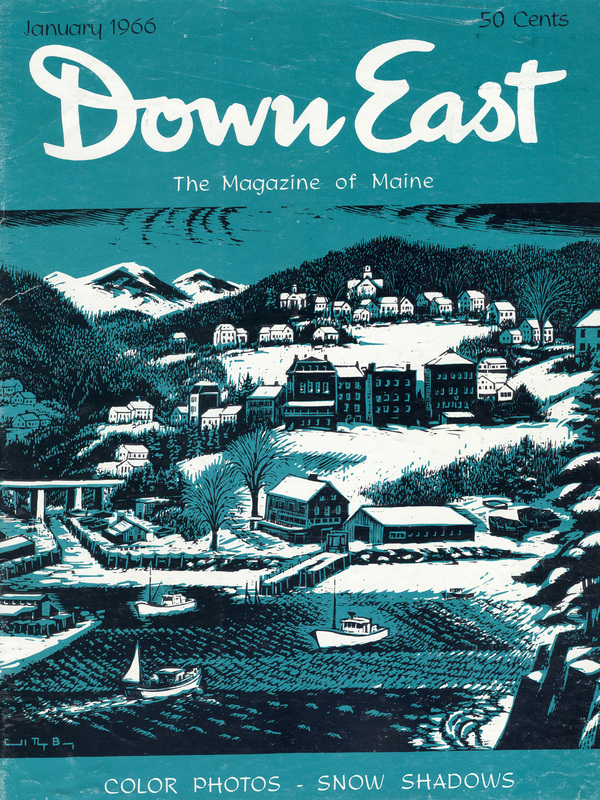 The Shevises, for example, moved from New York City to the midcoast in 1945 and helped found what is now the Center for Maine Contemporary Art and Deer Isle’s Haystack Mountain School of Crafts. 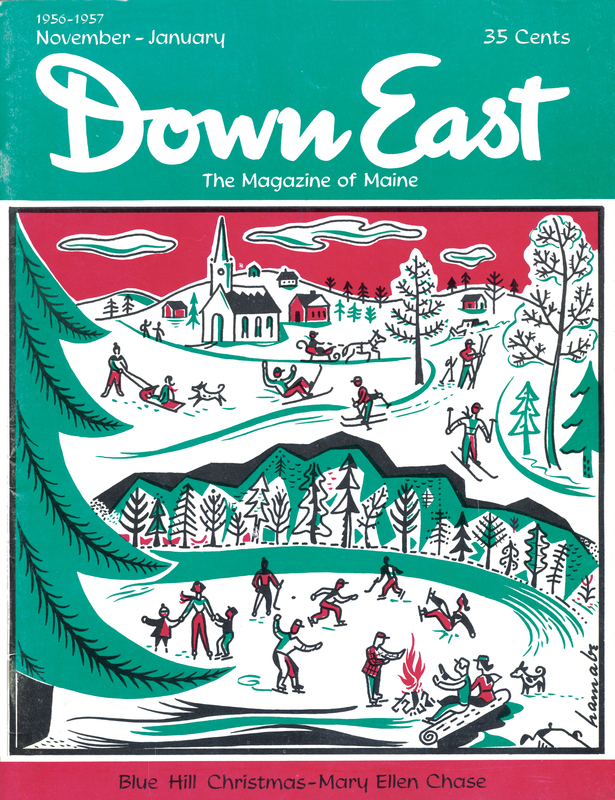 Their woodcuts and linoleum and silkscreen prints — many of them collaborations, others solo efforts — graced dozens of Down East covers, including our very first, in August 1954. Stell Shevis gets sole credit for our January 1959 cover. 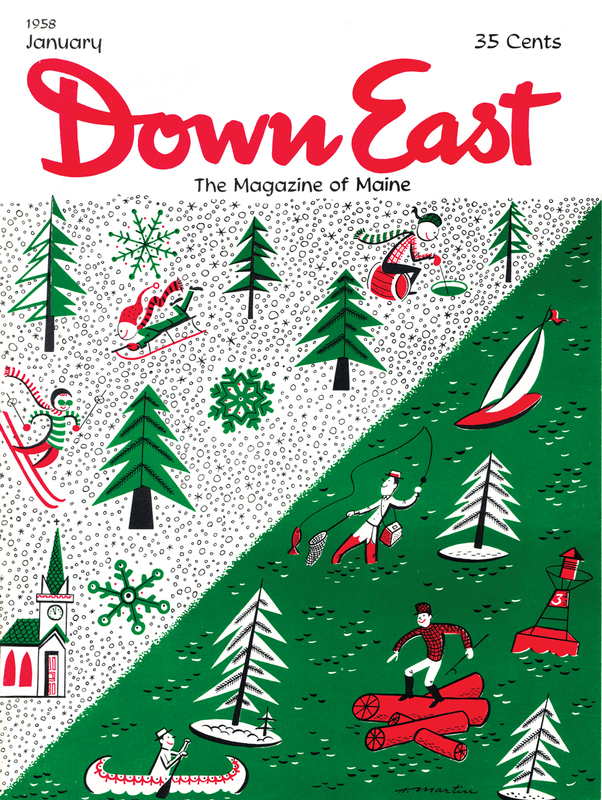 (In the early years, before the mag went monthly, Down East published just one issue between November and March, often billed as “January,” though it was out in time for the holidays.) Stell’s midwinter depiction of a Maine homestead — smoke rising from chimneys, footprints trailing from the barn, a blush of warmth from the cabin windows — is as quintessentially New England as any elaborate Norman Rockwell tableau, rendered in two colors and without a single figure. Henry Martin would graduate from his early work with Down East to a decades-long career as a beloved New Yorker cartoonist. 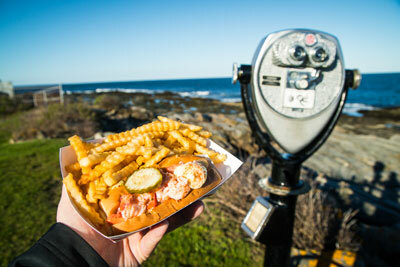 In the early ’60s, the New Jersey–based illustrator often visited his in-laws in Southwest Harbor, toting his sketchpad as he explored Mount Desert Island. 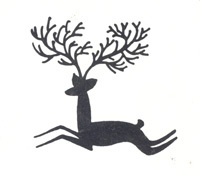 His January 1961 cover — red, white, and green, scattered with simple silhouettes of leaping deer with grand, arboreal antlers — telegraphs the sylvan side of the holidays as surely as a holly sprig. March 1965, by Stell and Shevis. January 1966, by Carroll Thayer Berry. January 1963, by Henry Martin. January 1964, by Carroll Thayer Berry. Maybe it’s because the era was the heyday of pop Christmas carols — one look at those old covers and you can almost hear Burl Ives or Andy Williams crooning. 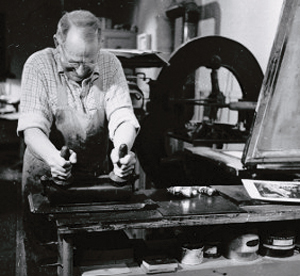 Carroll Thayer Berry’s prints are found in museum collections nationwide, including at New York’s Metropolitan Museum of Art and DC’s National Gallery of Art. 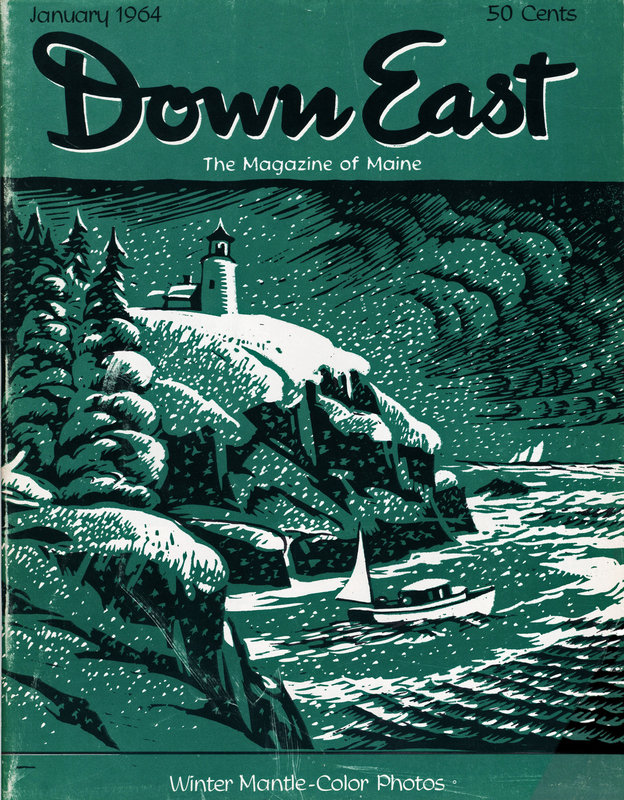 The native Mainer was known for detailed woodcuts and engravings of Maine seascapes, such as his rendering on our January 1964 cover of a lighthouse perched against a snowstorm, or his January 1966 cover of snowbound traps and lobsterboats lined up on a rocky point. 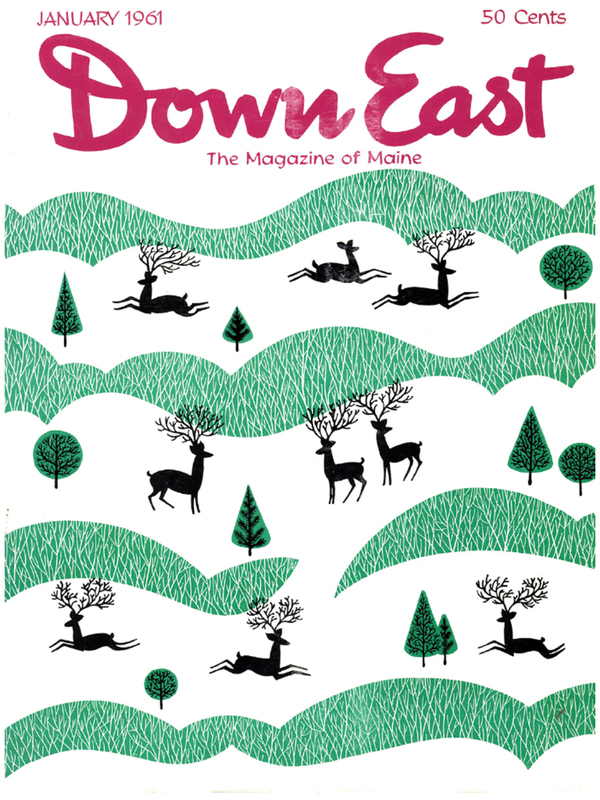 Berry too was a founding member of what’s now the Center for Maine Contemporary Art, and prints of his Christmas cards have sold at art auctions and are part of the permanent collection at Rockland’s Farnsworth Art Museum. Around 1968, as the Mad Men era wound to a close, Down East’s covers left prints and illustrations behind in favor of watercolors and oils and then, in the ’80s, photos. But still today, there’s something about that midcentury aesthetic that gets our sleigh bells jingling. 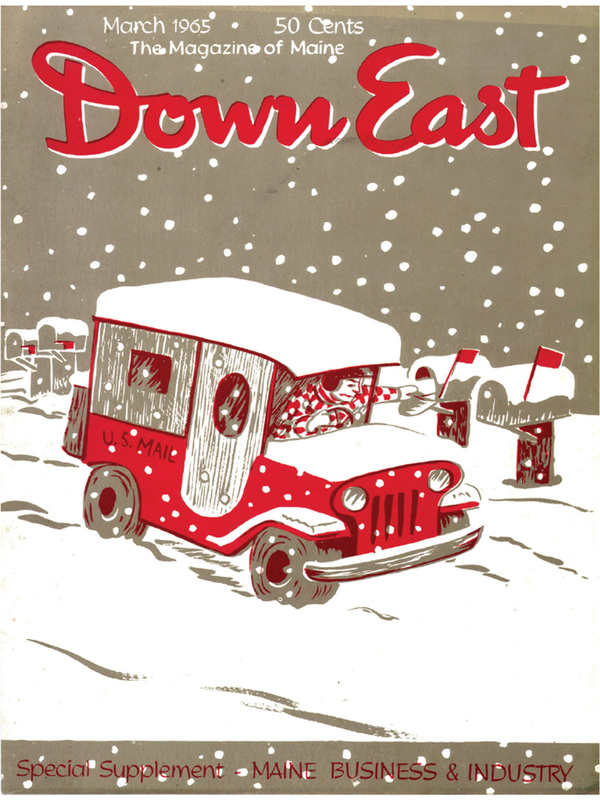 Maybe it’s because the era was the heyday of pop Christmas carols — one look at those old covers and you can almost hear Burl Ives or Andy Williams crooning. Maybe it’s because the covers have a Rankin/Bass vibe — a stop-motion Rudolph or cartoon Frosty wouldn’t look out of place. 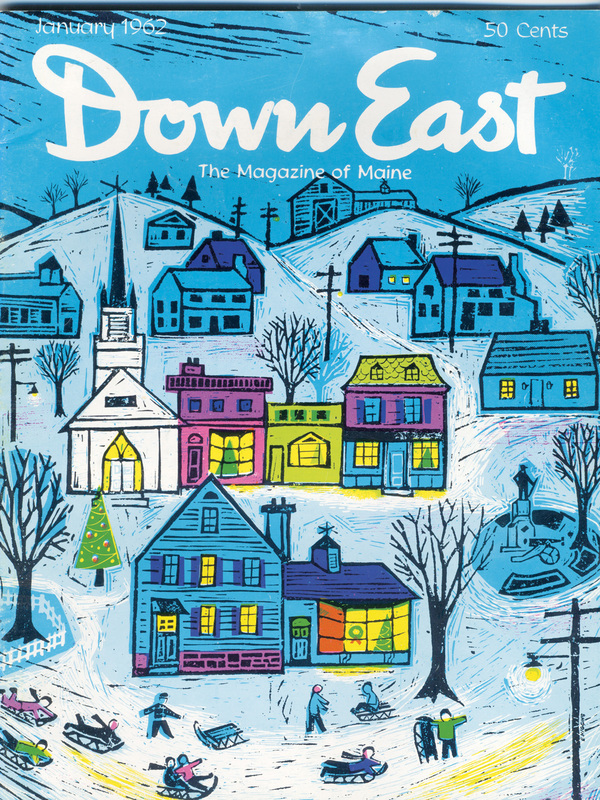 Or maybe it’s because the holidays are when we feel most keenly the pull of that postwar idealism and classic Maine mystique, a longing for yesteryear’s promise of joy to the world. November–January 1956–1957, by Francis Hamabe.